Yes, yes, yes, I have a propensity to eat beauty supplements even though I’m a bit reluctant to admit. I’ve actually been into them since my late 20s, buying all sorts of skin, hair and nail supplements. 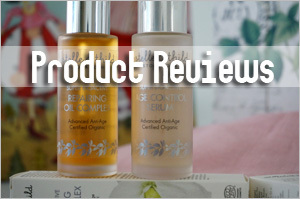 But I haven’t been all that consistent and stopped taking them for at least a couple of years but this year, they’ve made a comeback into my life because there are now so many brands on offer and their prices are very competitive. 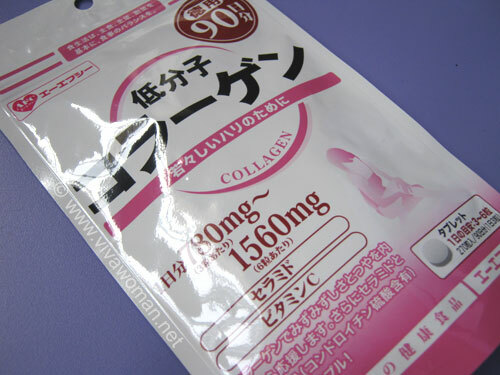 Like this AFC Japan Collagen Beauty is only S$43.30 before any discounts and it’s good for 45 to 90 days of consumption! I was introduced to this supplement by Keidi, a reader and a friend, and have been taking them for around three weeks now. I’ve found this to be one of the better beauty supplements I’ve taken for awhile now because I saw my skin firming within a week after starting out on them. 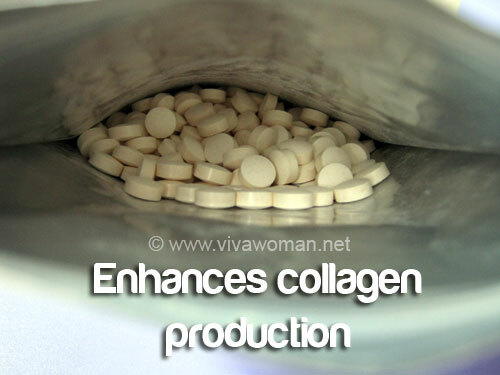 While I know collagen supplement works to some extent but they had lesser effects on me years ago. I guess they work better on me right now because my supply of collagen has been depleting over the years and I desperately need some restoration! Now, many doctors and experts have said that our skin cannot absorb collagen molecules through these supplements and that’s because these molecules are too large. But I learnt that AFC Japan Collagen Beauty are made from small, absorbable peptides and hence, they can replenish collagen to put the bounce and elasticity back in our skin. In terms of ingredients, this supplement is proprietarily combined with Shark Cartilage Extract, Fish collagen Peptide and Vitamin C and besides promoting collagen production, it is said to help lessen wrinkles and open pores, promote skin regeneration and aid in the repair of scars plus restore skin firmness, clarity and radiance. AFC Japan Collagen Beauty is also said to be beneficial for the maintenance of joints and cartilage and so that’s really a bonus for me. The recommended dosage for this supplement is to take between 3 and 6 per night. I started out taking 5 and then increased to 6. However, I think there is little difference whether I take 5 or 6 and hence, I’ll probably revert to 5 so that I can stretch the pack to 54 days. Like I mentioned, I noticed that my skin is firmer and less wrinkled up and I’m quite happy with that result even though I can’t detect any clarity or radiance as the product promised. In fact, I already bought the second pack because of the promotional price. The retail price of AFC Japan Collagen Beauty is S$43.30 but I purchased this at Unity at a discounted price of S$39+ and then I grabbed another pack at Guardian when I saw it on promotion at S$38+. This is probably one of the cheapest beauty supplement I’ve taken by far. In addition, I like that it is readily available at all the major pharmacies including Watsons. If you want to give this a try, do take into consideration your state of health too because I know that some people can react to collagen supplements such as developing hives, rash, itching, etc. This product seems good & worth trying.. But I’m not sure if it’s suitable for me as I’m 24 this year. What do you suggest? You are young! 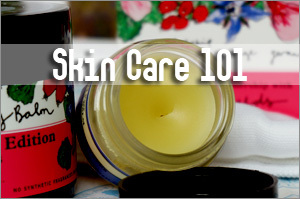 If your skin is good like it’s firm and all, then you don’t need this now. This is probably good for those in their late 20s onwards. But if you suspect your skin’s collagen isn’t very optimum, then this is worth a trial. I’ve heard good things about Meiji but never tempted to buy cos of a friend’s experience. But I think she’s probably an exception and maybe she was allergic to collagen supplements. 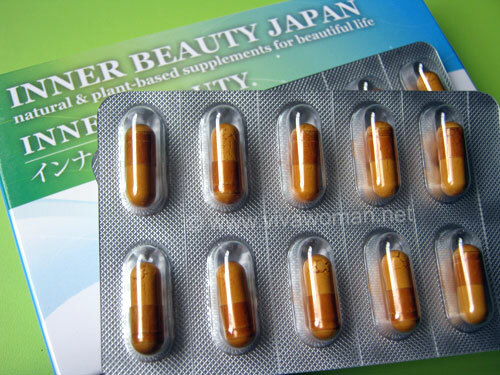 So much skin supplement in jap labels nowadays..I heard when u stop taking collagen, ur skin will go back to how it is again because the body cannot store them.. Isn’t it a long term investment? I am currently taking Ag-factor which is a anti-aging supplement that let ur body produce its own collagen and have whitening effect to the skin by cleaning the liver. Brought it together wif Praventac bcos of my acne problems. Into my 2nd month now, pimple not so big n red but still continuing to see more obvious results though its ex~! Definitely…I think it applies to most supplements that the effects will stop manifesting once you stop taking them. Have seen the product you mentioned but I try to avoid those that state they are for whitening and yes, they’re pretty ex. hey, are you still taking ag factor and praventac now? how have the results been im still on my first month! eager to see results. pls reply!! I am too taking Ag-Factor with Cera-5 combo. I totally recommend this food supplement. 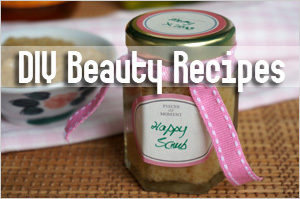 Really helps on dry skin, uneven skin tone as well as pigmentation! During my trip to Japan in January, never fail to bring them along together. Kept my skin suppled with lotion application as the weather was very dry. No flakey skin on my hands and legs compared to my sister who is not consuming these two supplements. Now she swore by these two products. I am not paid or has any connection with this company. Am just trying to share how wonderful our experiences are. I prefer my supplements in softgel capsule form; not sure if I can swallow these. I know collagen supplements also comes in powder & liquid form. I wonder which type are more effective. I was informed that softgel, powder and liquid are better cos they’re easier to digest and absorbed…but I don’t know the process well to discuss further. I know these collagen products started being poplular a few years ago but thought it was just a fad. I didn’t know some people actually sees results after comsuming for a period of time. It does…in some cases, the face can look a bit fatter. And some see better results than others. However, I’ve also tried some that were rather meh and yielded no results. 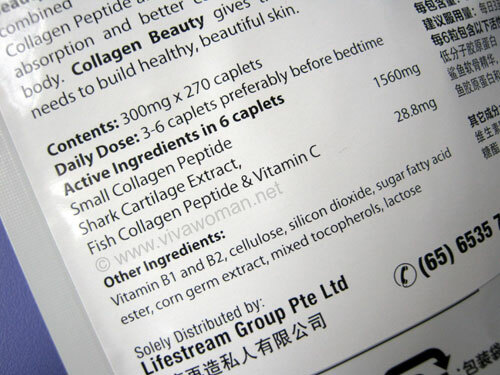 I noticed that the pills contain shark cartilage extract. This is definitely an off-putting ingredient for me as shark populations are decreasing rapidly even as we speak. No matter how little of it there actually si in the product, it surely should not be there at all. Exercise is a much better way to boost your skin’s radiance (more oxygen in your system) and increase well-being. 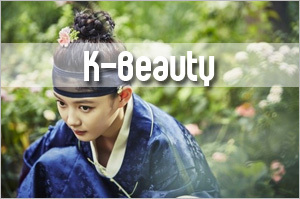 Natural beauty surely means also considering some of the effects of beauty products on nature? You have your choice of what you want to eat or what you do not want to eat. I eat shark’s fins so I don’t see an issue. And I don’t judge others on what they eat, use or do so I expect the same treatment for myself. Some pple may define natural beauty to include being vegan, saving endangered species whatever, it’s fine…I can respect that. But it does not mean I have to do the same. Glad to know you saw some results from taking this. I have 1.5 more packs to go…thinking of going back to Meiji Collagen powder because I really saw results when I used to take them years ago! And I know this organic store that sells it for $48 per pack. That is a steal compared to the usual $60+ dollars at Watsons or Guardian. Shall see how, and that is if I am not distracted by other products. Ever heard of Lo Hong Ka Pearl Anew? 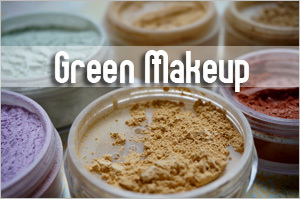 It’s pearl powder…and really affordable. I won’t try Meiji cos of my friend’s experience but like I mentioned, she’s probably a rare case. Have seen the Lo Hong Ka Pearl Anew. Used to use pearl powder when younger to apply on the skin. I am in my late 20’s. But i am actually more or less satisfied with what I have got. But I am sure worried about later. What do u say, should i start using it? you know it more than anyone? Is it useful this early? Keidi is around your age group and she started on it. I started taking in my late 20s too. It really depends on yourself but if you’re satisfied with your skin condition, I would rather recommend you to put your money in skincare. I’ve known for long that collagen’s molecules are too large for the skin to absorb. However, lately I see some company (a famous one) touts about “breaking down” the big molecules into small ones to make beauty products absorbable for the skin. Would that make the collagen get absorbed into our skin? Or is it just another hype? 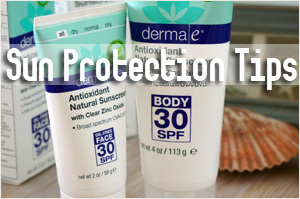 Amanda last post is: Photosensitivity: What Skincare Ingredients Should You Avoid? I might have seen that one around but I can’t recall the brand now. I had the same question as you. I have taken NeoCell Super Collagen for three years after viewing an Oprah show. Here in the U.S, its under fifteen dollars. I have definitely seen skin improvement and also helps joint pain after exercise. I read that people who do not tolerate sulfites have the reaction to collagen. So if you can’t drink wine, its not for you. But its fine for most people. Wow, under fifteen! That’s really cheap! For a month? I checked and I am paying $11 and its supposed to last 30 servings…but the way I use the scoop its longer for me. 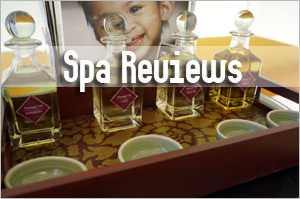 The site, iherb, has over 500 reviews. One lady says her breasts lifted but that hasn’t happened for me. 🙁 lol! I remember being shocked after Oprah at how much more expensive collagen is in Asia. Definitely, it works though! It’s available at iHerb? Okay, I shall be checking it out! 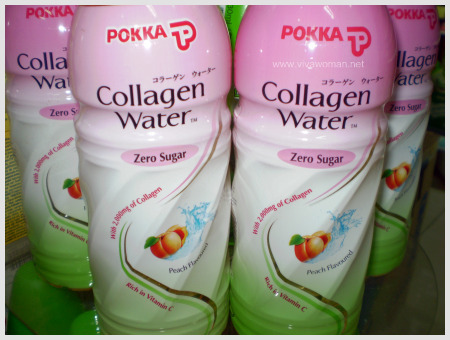 Yes, collagen is more expensive here. This brand I purchase is amongst the cheapest. Most are about $$70 and above, which is like above US$50 and they’re either for a month’s supply or lesser. Hi, I just bought a packet of the same supplement from watsons, original price is 38.90 but they have 7% discount storewide for all watsons card member so I got it at 36.15. Planning to start at 3 tablets a day so it can probably last me quite a while. You’re Welcome! I’m thinking if I should purchase another packet or wait until the mid year sales to purchase. But 36.15 is a good purchase though. I’m glad to say this is working for me! Been taking for almost a week and just noticed my cheeks has gotten firmer as I rest them on my palms. I would be stocking up during the mid-year sales if there’s any. I’m so sad the promo is over. 🙁 Gotta wait for next promo to stock up. I notice my skin wasn’t looking so great when I stop taking this – cheek area not so firm. Hi I’m at my early 40s..^o^.. Is this suitable for my age? Hi, anyone taking Ag factor? is it good? With or without collagen. 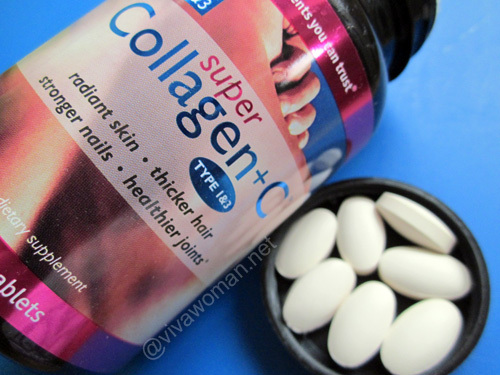 Has anyone stopped taking collagen for a while and notice any differences and how serious it can be? Please Please Please share your view soon. Thanks! Yes, I think it has to be maintained. Hi Iâ€™m 20.. Is this suitable for my age? Can’t say for sure cos each person is different. I’ve taken it for awhile and haven’t experienced anything adverse. What i,ve read and being told, taking collagen will make your skin supple and beutiful, but when you stop ,your skin will back to normal. 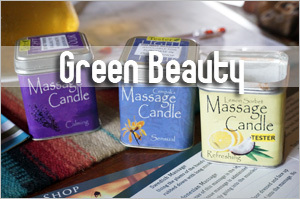 Nowadays there is a product EC Beauty marketed by Cosway. With added Elastin , even you stop taking for example one month, your skin will stay supple for quite a long time. Do check. Really? That’s a surprise to know. I’ll take a look at the product if I get the chance. 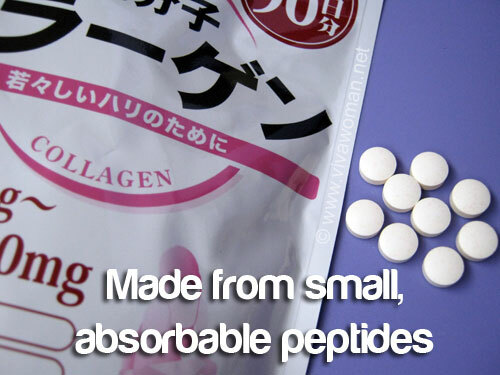 Are these collagen supplements the reason why every female Japanese tourist I saw in Hawaii had the most amazing skin?! And not just the face, I mean more the entire body, i.e., zero cellulite! I’ve been taking American brands of collagen, Neocell and Doctor’s Best…not long enough to say one way or the other if it’s doing nything…but now I really wonder if the Japanese know something we don’t. I’d love to try AFC, but I don’t have access to it in the States (at least for my budget) so the brand listed above looked somewhat comparable. Japanese ladies take supplements but I’m not sure what they take. AFC is probably one of that and they also take whitening supplements. However, Neocell is supposed to be good! I tried the capsules but they did nothing for me. However, many told me the powder form is great. is afc collagen beauty make ur skin fair? Not the one with collagen. AFC White Beauty is the one that makes your skin fair. I just started taking this brand of collagen I bought from Nature’s Farm. It’s called BioScience Allure Collagen. After consuming only 3 bottles, I already notice an improved firmness in my skin and the scars and blemishes on my face have also faded significantly. Perhaps because I’m only in my mid 20’s, but I’m so impressed, I actually bought another 4 boxes to last me the next two months. Thing is, I’m afraid that if I stop taking collagen, my complexion will worsen. It should not worsen but it’ll probably revert back to the original. Do you know where I can buy the AFC collagen in the USA? I want to avoid counterfeit product. Yes, yes, I am still taking! Despite trying a few, this seems to work best for me. I just bought their whitening collagen to try too. Hi… I’m lyn I’m coming to Tokyo this May 2016 I ‘m looking the best collagen this is my one purpose to buy. Please help me to find what is the best one for me I’m already 46 years. I want my skin look younger.And were I can find this product and how much each pack? How many should I buy good for 6 months. How many months should I see the result. Hoping to hear you soon…. Hi Sesame, do you still use AFC collagen to this day? What’s your verdict on whitening collagen? Try buying AFC Collagen at global Rakuten website ( this is the counte part of Amazon in Japan) their prices are very reasonable and products are directly from Japan. Shipping is kinda cheap considering I live with n US. What’s the brand/name of your whitening collagen? It’s AFC Collagen White Beauty. Hi Sesame, this is a follow up question …. are you starting on your AFC Collagen White Beauty? If so, any inputs? Thanks! Yes, I’ve replaced the collagen supplement with White Beauty. Hmmm…seems about the same. I can only assume it provides some protection but it cannot get rid of my existing pigmentation. 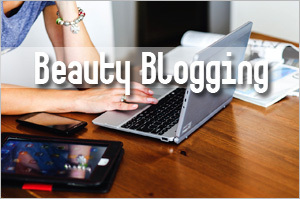 Thanks for the info … would be nice to do a full blog on your experience with AFC collagen white beauty. Regards! My Collagen white beauty pills seemed sticky to touch. Are they still good? It should not be sticky. Could be the heat. How do you store them? In the fridge. I guess I have to dump them. expiring in 2 months. Thank you! 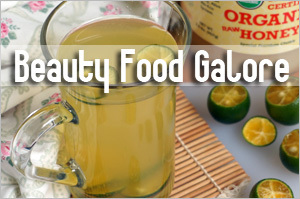 Are you still taking AFC collagen or Collagen White Beauty? Any other supplement ? Hi Sharbin, yes, I’m still taking AFC White Beauty. I was taking the collagen one but switched to the collagen white beauty. Any recent reviews after taking the AFC white beauty? Would love to hear more from you! I have yet to try them as ive just purschased them.